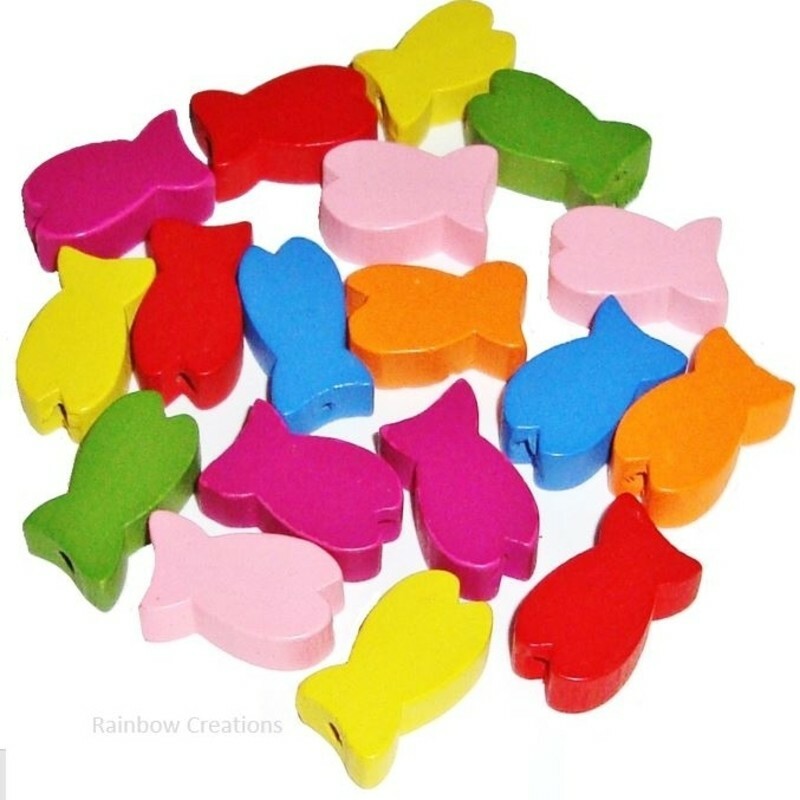 Children's coloured wooden beads for threading and making necklaces, in a mixture of shapes and sizes. 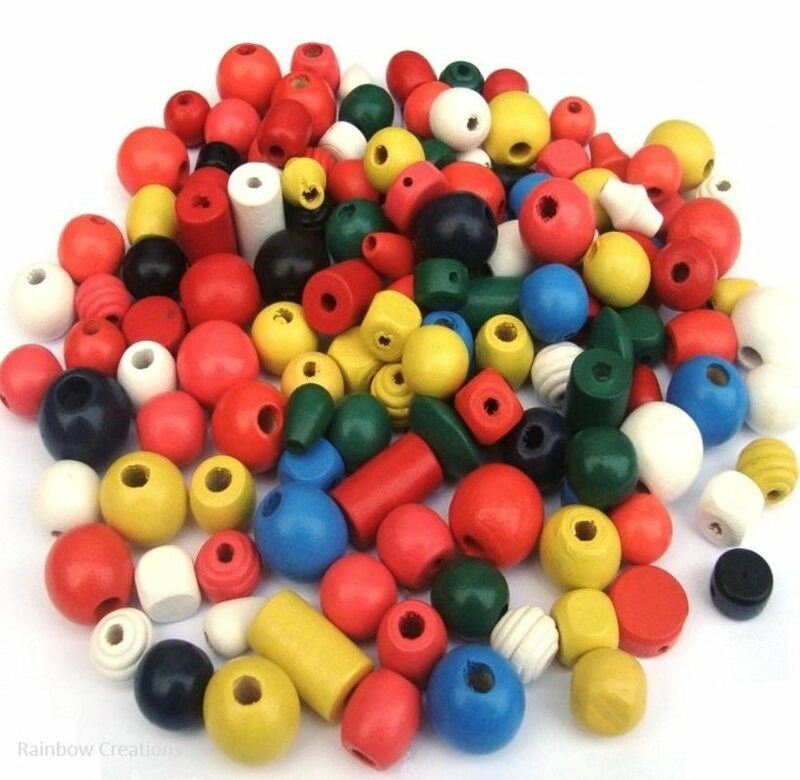 This large bag of beads contains round wooden beads, tear drop wooden beads and square shaped wooden beads. 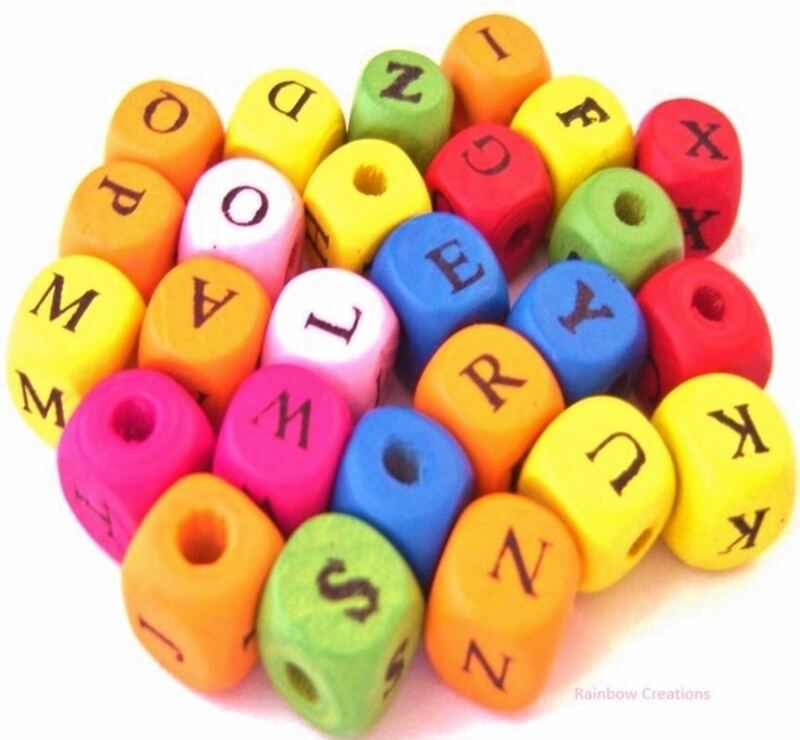 Some of the beads are engraved too. 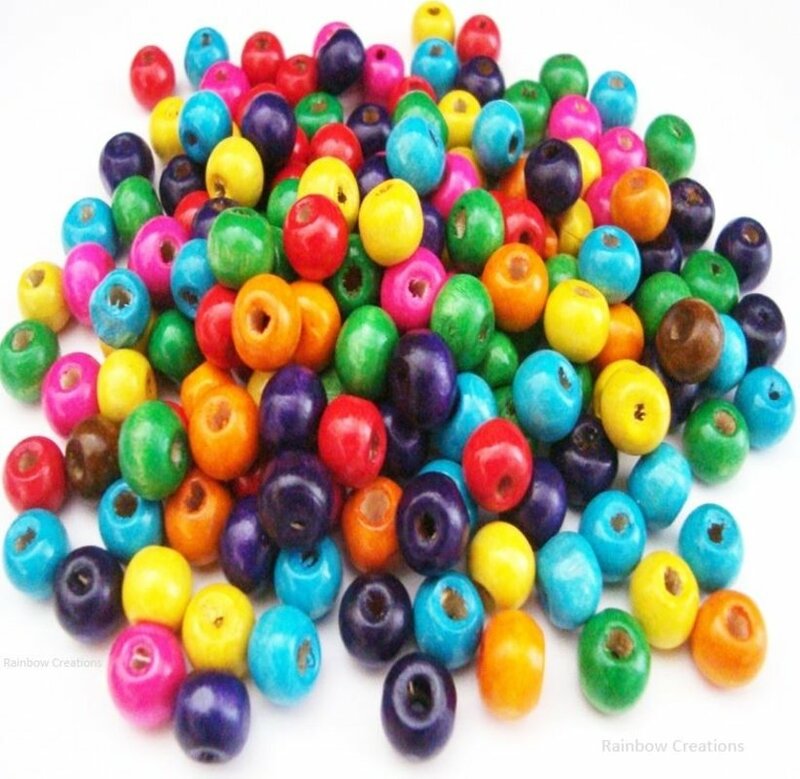 It is a super varied pack of threading beads for children to create patterns, when stringing just for fun or making their own jewellery.